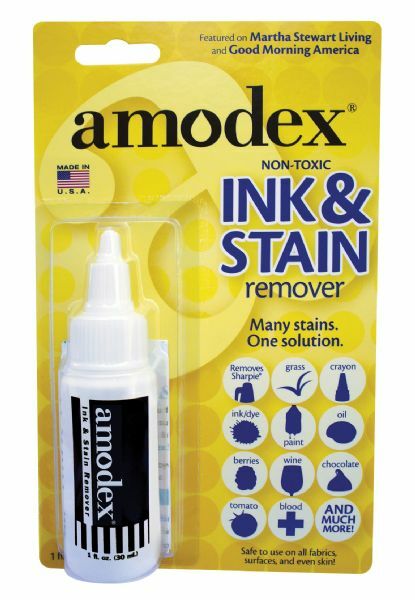 Miracle stain remover works on all inks and is recommended by Sanford to remove Sharpie and Expo from clothing carpeting furniture and surfaces including DVD/CDs smartboards and whiteboards. * Unique non-toxic cream formula. * Suitable for cleaning VYCO. 7.25" x 4.5" x 1.5"